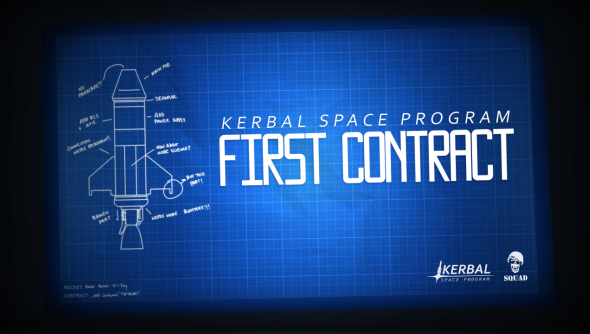 Kerbal Space Program, one of the best space games on PC, just took one giant leap towards “scope completion” – the point where its launch pad is large and stable enough for developers Squad to build high on top of it. 0.22’s Career Mode has been filled out with funding and reputation systems, and players can now take on contracts at the Mission Control facility. Contracts can earn players Funds, Science and Reputation – the three most important resources for any spaceperson. Funds are now required to launch vessels, and reputation determines what sort of contracts are offered to players. A low reputation means fewer, less glamorous proposals, while a high reputation means access to increasingly ambitious missions. Kerbal veterans will be especially pleased with the new vessel recovery feature: return to a planet you’ve previously landed on, and you can reclaim some of the cost of any parts you can salvage. The system isn’t yet complete, but you’ll notice that the Science Summary Dialogue now includes information about recovered parts and crew. The game’s various UIs have been “vastly overhauled” while remaining “mod-friendly”. And elsewhere, there’s a revised tech tree layout, a new engine and thruster, and a use for spent engine nacelle parts. Squad’s HarvesteR said the delayed update had been worth the effort. Time to suit up? Perhaps our Kerbal Space Program alpha review can help you decide.